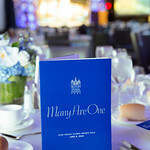 The 33rd annual Many Are One alumni awards gala will bring together 400 alumni, parents and friends to celebrate what great minds in the Seton Hall community can do. 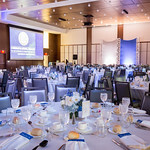 Join us at this exciting, black-tie optional event on campus in Bethany Hall to honor the 2019 Most Distinguished Alumna, Interim President Mary Meehan '72/M.A. '74/Ph.D. '01, and a host of other exceptional alumni honorees. 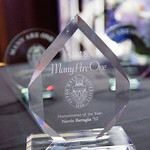 Enjoy dinner, conversation and celebration in support of the Many Are One Alumni Endowed Scholarship Fund. We will have complimentary shuttles to and from Bethany Hall. 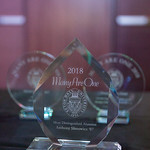 Service Award recipients demonstrate tremendous servant leadership in their professions, communities and through their involvement with Seton Hall. 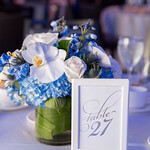 Seton Hall University is like a mid-size city - with over 100,000 alumni, 10,000 students and 1,500 employees. However, over 160 years after its founding, it remains true to its mission; it is a welcoming community, rooted in faith, and is steadfast in the pursuit of academic excellence. 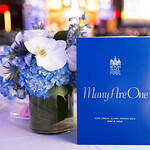 Tied together by a common bond, Many Are One is the only event at which all of Seton Hall comes together as one to celebrate Seton Hall. 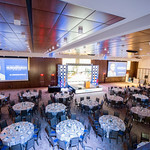 Through it, alumni, faculty, administrators, students and friends gather to share the special link that unites them all - their devotion to Seton Hall. 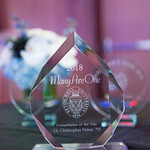 Each year, members of the University community are selected for special recognition. 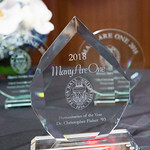 These honorees are chosen because of their dedication to improving Seton Hall and their communities. The Most Distinguished Alumnus Award is the most prestigious alumni award given by the University. 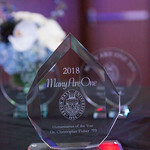 This award is presented to an individual who has been recognized as an outstanding leader in his or her professional field. 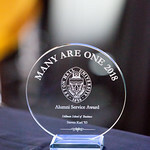 School and College Service Awards: Each year at Many Are One all of Seton Hall's schools and colleges select an alumnus/a to receive their respective service award. 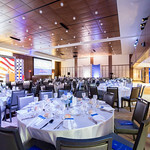 Service awards recognize the dedication each alumnus/a has to their profession and their service to their community and Seton Hall.